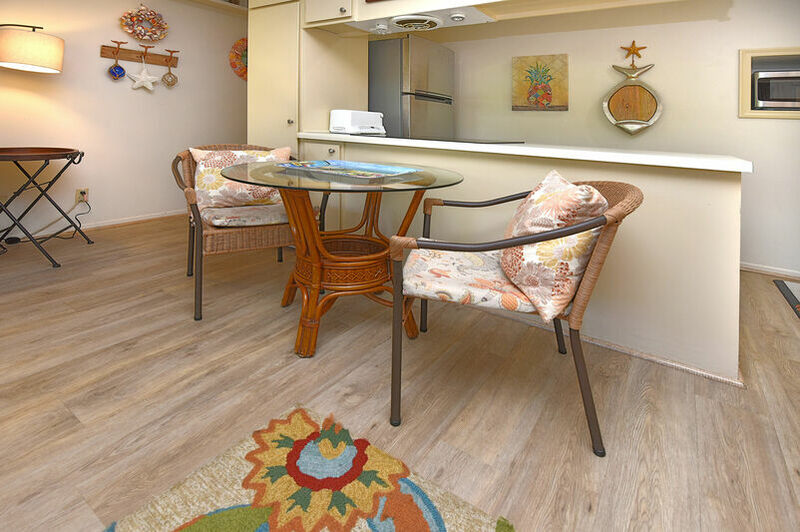 Unit #6 is a home away from home beach retreat. 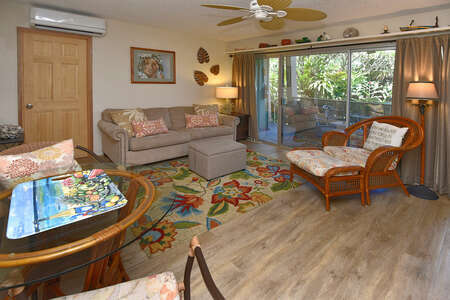 Upon entering this unit you will be taken to a lovely Hawaiian beach theme. Enjoy the carefully chosen furniture and decorative pieces that give a warm and comforting atmosphere. 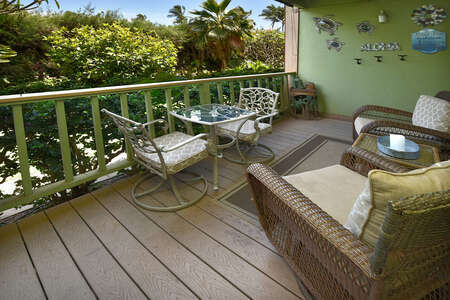 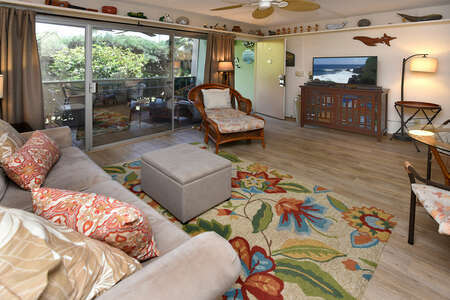 This garden view unit overlooks the green landscape with Plumeria trees and other tropical foliage. 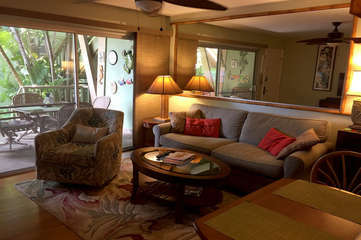 Queen size bed and queen size sofa bed sleeps a total of four in this cute unit. 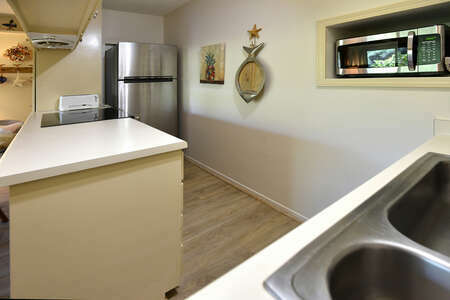 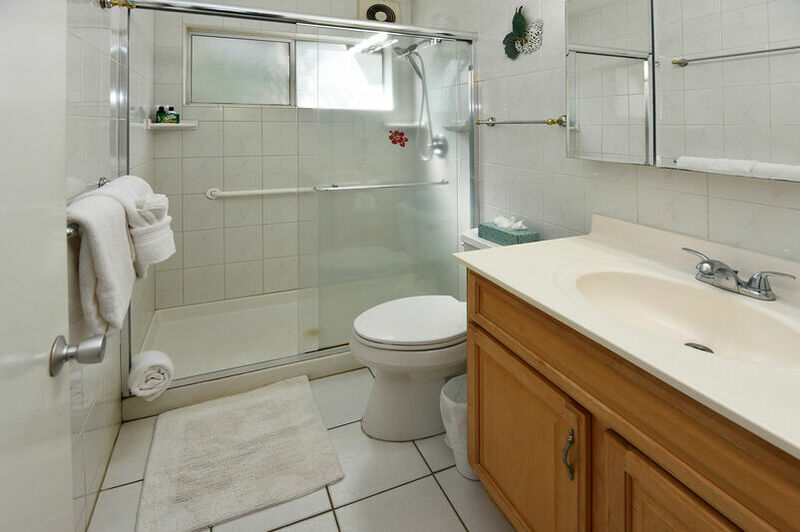 Fully equipped kitchen with modern appliances, dishes, utensils, and cookware. Split system A/C and ceiling fans in the bedroom and living room. 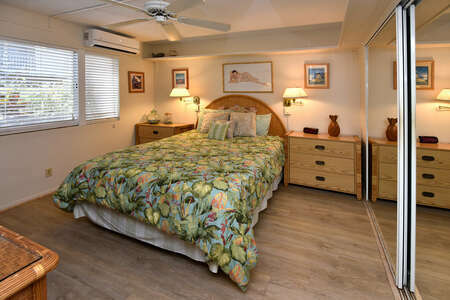 Television in the living room and bedroom. Smoke-free property.